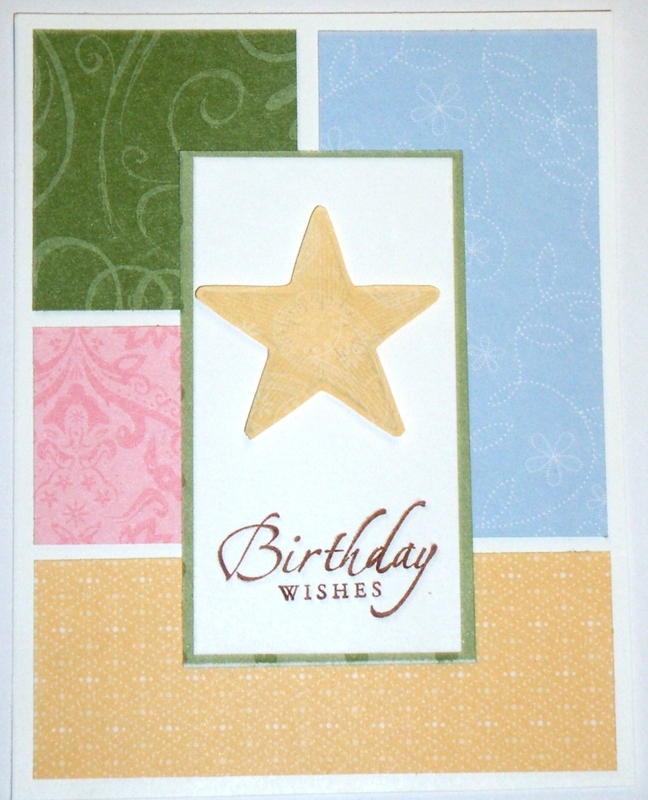 I have seen a number of really cool cards that use color blocking for their backgrounds. I’ve been wanted to try to create one myself for a while but it wasn’t until I got concentrated card making time that I got to try it out. 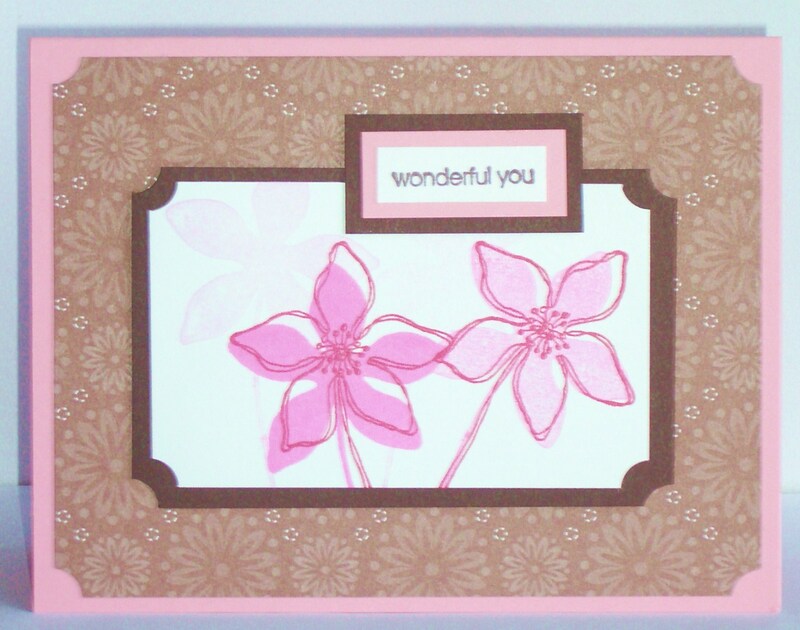 These layouts are great for using up scraps and are super versatile depending on the color combinations you use. 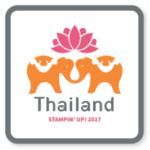 After arriving at my MIL’s house, one night we were talking about how I had become a Stampin’ Up! demonstrator. She was curious about stamping and card making but didn’t know what to do, so I helped her design and put together her first card. It is a simple card but looks nice in real life. Sorry for the long lag in writing! This whole cross-country move thing has been much more complicated than I thought! 🙂 My whole house has been packed up and in a truck for the last week, and my DH, myself, and our 3 cats have been staying at my MIL’s house until it was time for us to move to our new home in Portland. I managed to set aside a small bag worth of stamping supplies thinking I was going to have lots of time to use them but boy was I wrong. It wasn’t until last night that I was able to really start pulling them out. It was an interesting challange to see what I could make with the limited supplies I had. However, in the end I think I have a number of simple cards that I’m pretty happy with. I’ll be posting them over the next week as I finish my transition to Portland and unbury my craft room. Hope you like them! My new goodies have arrived! My new order is in and boy am I excited. Sadly, it showed up just before the packers and movers showed up at my house so I only really had time to mount my stamps and gawk at all the goodies before most of it went away. However, I was smart and kept aside a bag full of stamping items so I will be able to play with some of my new supplies while waiting for the movers to deliver my craft room to Portland. Coming soon – projects with the new filigree brads, awesome rub-ons, some new stamps including Baroque Motifs (I’ve been eyeing it forever and can’t wait to try it out! ), and the scallop square punch. I’m sure there is more, but I know I won’t be able to keep away from those items. After a very busy evening (yay! sold our couch!) I forced myself to take some time for stamping. I’ve wanted to every night and since I promised earlier, I figured I had to make it happen. 🙂 Tonight I tried to go for something that was a bit on the simpler side and at the same time thought I would try again for a get well card. This came together easily and used a minimal amount of supplies. I haven’t been able to do much stamping this weekend as my hubby and I have been sorting most of our house in preparation for our move to Portland. While going through my office, I realized just how many retired stamp sets I have and decided that I ought to clear out some of the old to make room for the new stamps that are on their way to my house now. I have 11 sets for sale, some of which are brand new and unmounted! Email me if you are interested in any of them. I will happily mount the unmounted sets for you if you would prefer. Last weekend my grandma had surgery on her foot and has been a lot less mobile and in a lot more pain than she expected. I wanted to start sending her cards to try to cheer her up while she recovered and had a great idea for a card using the new Sock Monkey stamp set. 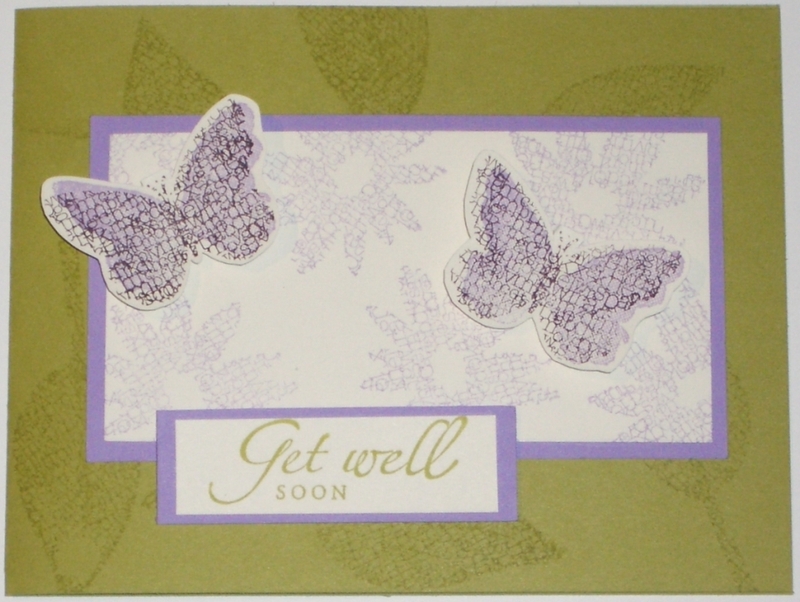 Unfortunately, as I started stamping and cutting paper, the card just wasn’t shaping up how I hoped. 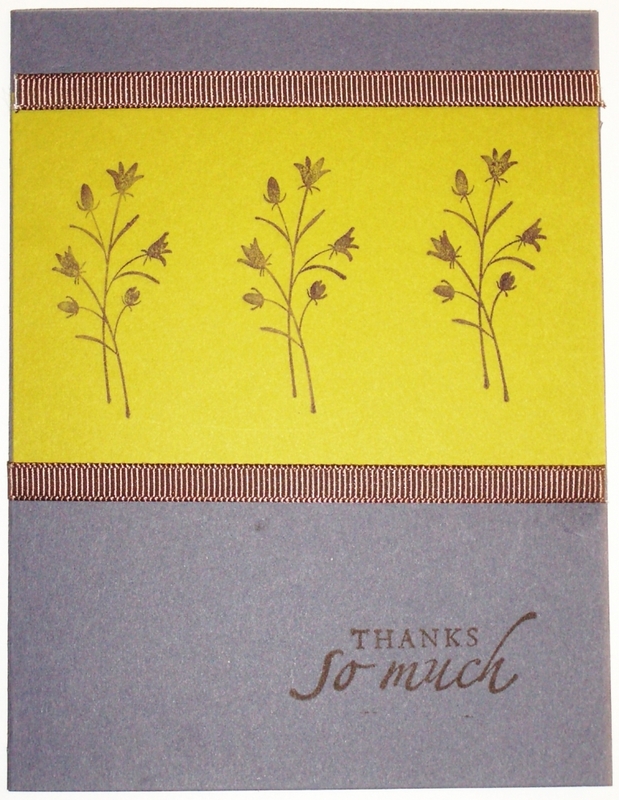 But after two nights of tweaking the card, it is now a birthday card and I’m happy with the results. Now for attempt two of a get well card. The Fall/Winter Idea Book and Catalog is here! 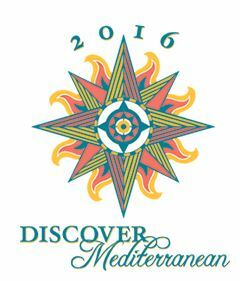 It is full of some fantasic new products. I filled out my wishlist earlier this week and was amazed at how long it was! Of course there are some great new stamp sets but it was the accessories section that really caught my eye. I’m loving the new designer paper (the prints in the color family designer series papers are so much better than in the last catalog! ), plus there are tons of new ribbons in many sizes and colors up to 1 1/4″ thick! 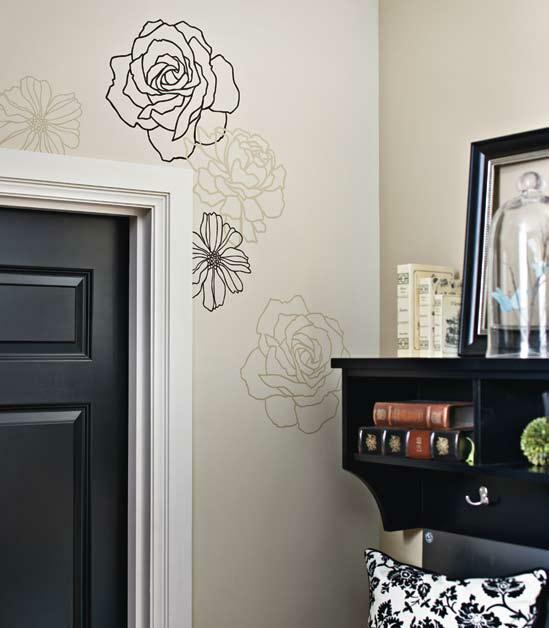 I have to say though, I think my favorite new items in the catalog are the TWO pages worth of rub-on designs and the filigree brads. I had to get some of each and will post pictures once they get here. Oh and I almost forgot the best part! At the beginning of each section in the Idea Book, there are instructions for a different stamping technique! So with an Idea Book, you will not only have examples of cool projects but you will also have an instruction booklet to use when creating your own projects. Now for the GOOD STUFF! Have I got a deal for you! From now until Aug 31st, you can order an Idea Book from me for 50% off the retail price of $9.95! But wait there is more…. 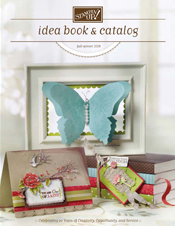 if you purchase an Idea Book during this time, I’ll include a $5 off coupon for use on your next order of $35 or more! As always, my hostesses get their Idea Book and Catalog free. Contact me for more info or to schedule your workshop. 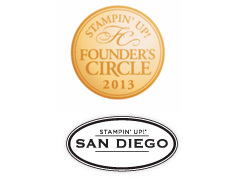 I think one of the biggest announcements at this years convention was the partnering of Stampin’ Up! 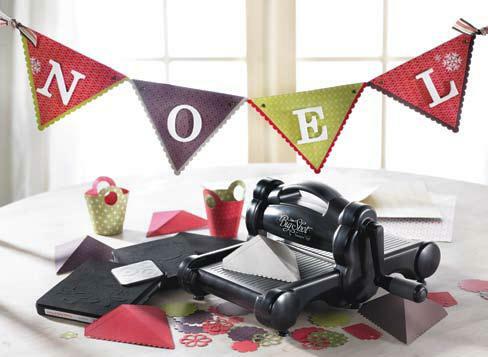 with Sizzix for not only the offering of the Big Shot die-cut system but also exclusive Stampin’ Up! dies. Yes, everything here is made with the Big Shot! If you haven’t used a die-cutting machine before, let me tell you how easy and how useful they are to use. All it takes is putting the metal die with the image you want on the platform, place your paper over the die, turn the crank, and you now have a perfectly cut out flower/envelope/letter/etc. They are perfect for scrapbooking, projects (like the templates for envelopes and paper baskets), gifts, and adding a little more flair to your cards. Fun fact: Not only can the Big Shot cut through paper, but it can also cut through fabric, light wood, and even thin metal!